Bright sunny wreath using orange and yellow flowers. Price includes delivery to all areas Perth and Western Australia. Upgrade to deluxe and include more flowers. 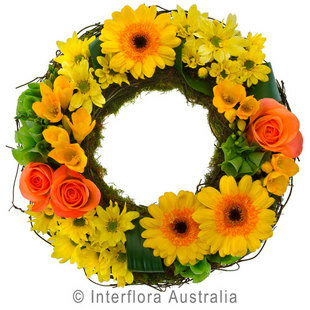 Order this beautiful sympathy wreath online today from our trusted Perth florist!